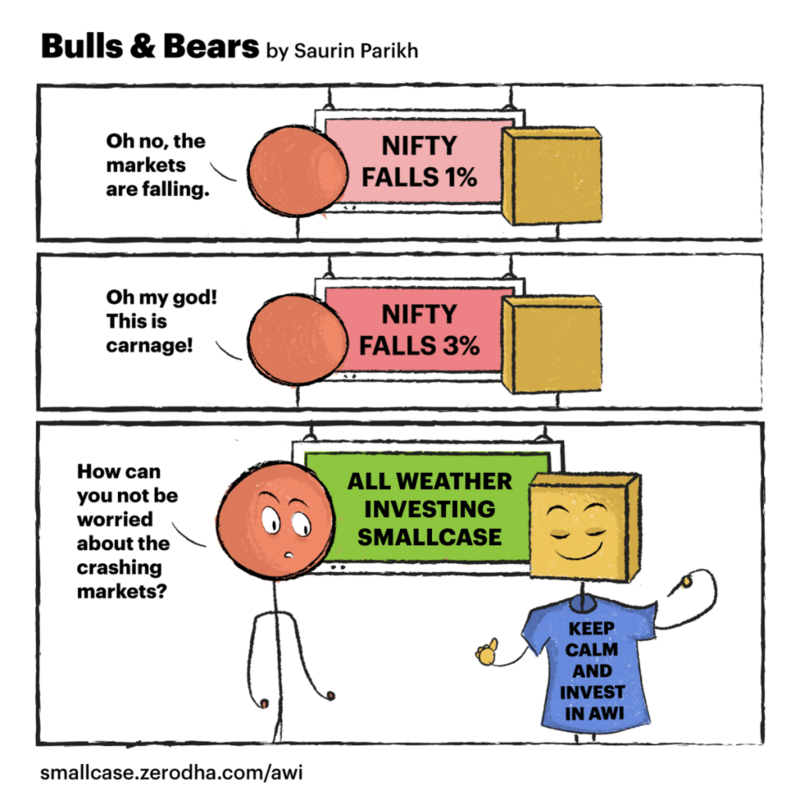 While there are numerous theories about the origin of the term, it is slightly unfair to bears that a crashing stock market is termed as a “bear phase”. Bears are good animals, especially when they are stuffed and sitting on your bed, but probably not when you meet them in the middle of a dense jungle. 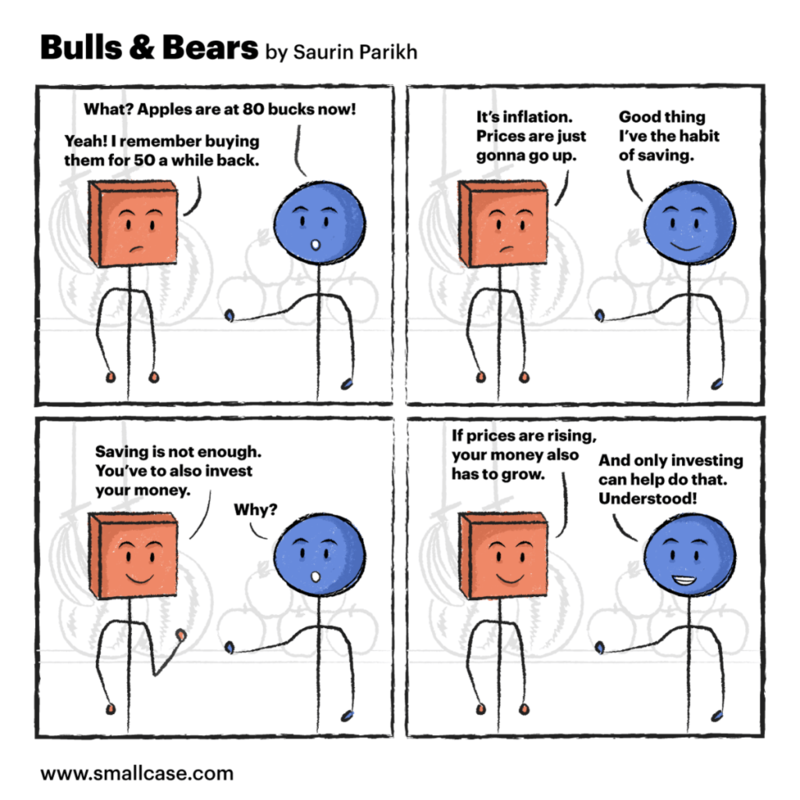 Nevertheless, they are synonymous with crashing stock prices. 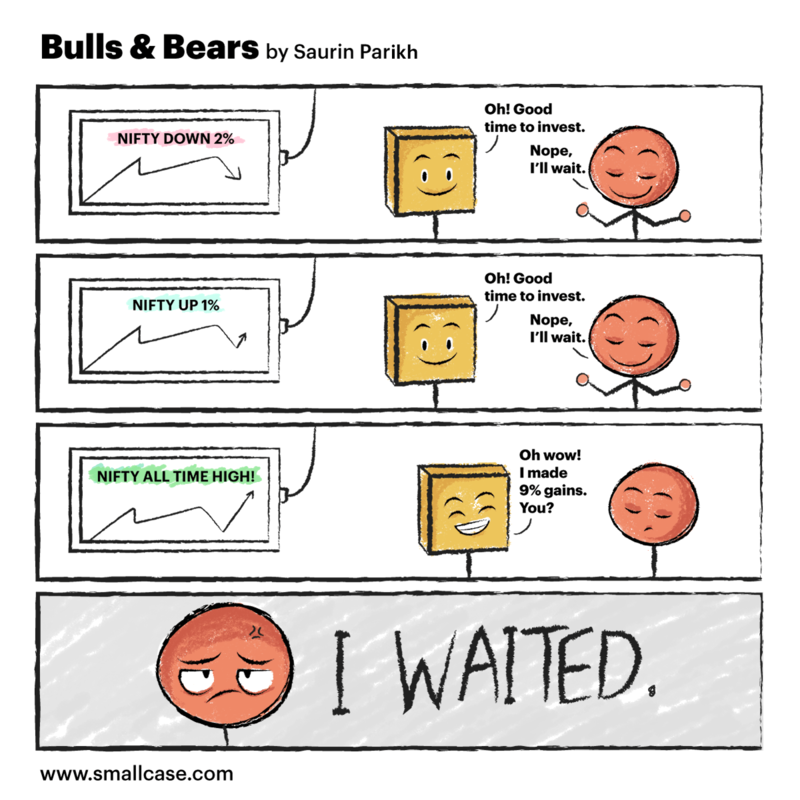 Much the way bulls are with rising stock prices. 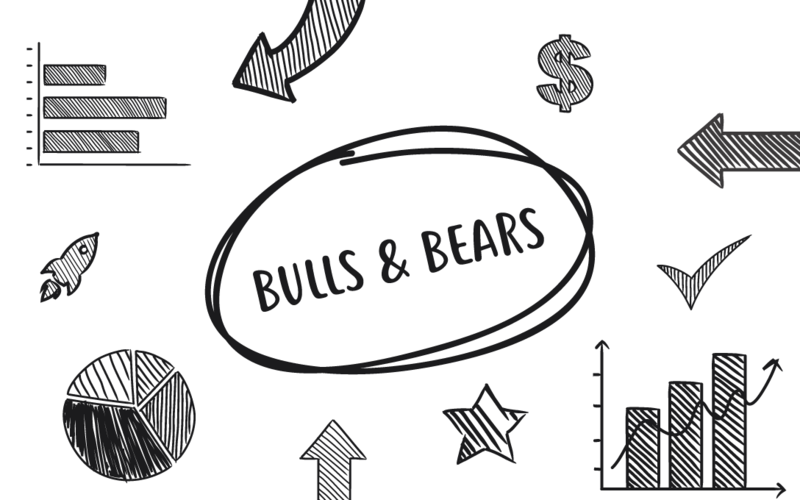 Anyone who’s invested, or not, would know what a bull market and bear market mean. 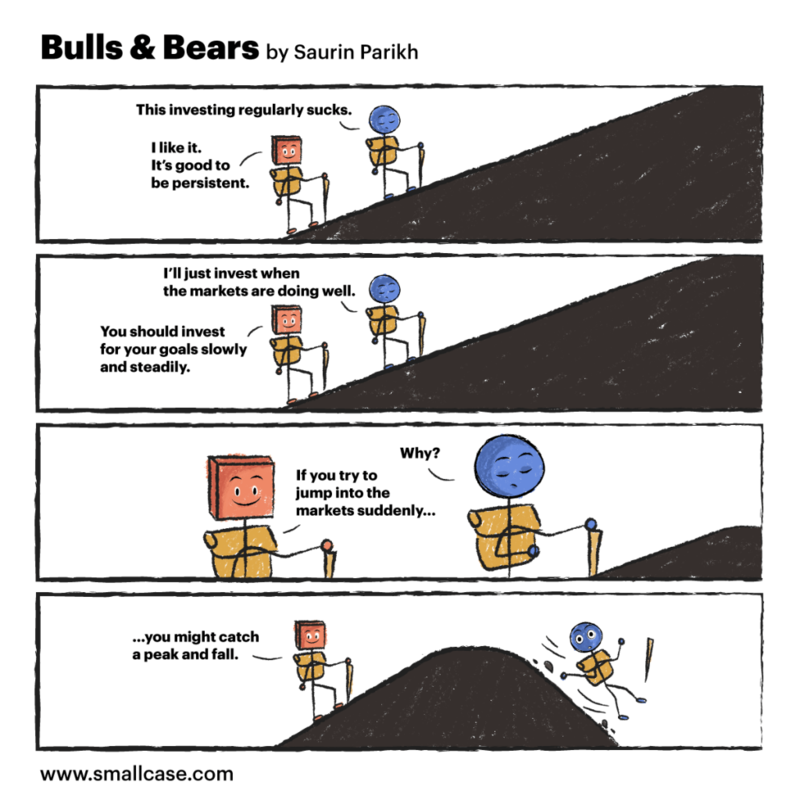 Hence, the name Bulls & Bears for our webcomics. All of us love comics, don’t we? Comics are a fun way to look at life from a different perspective. 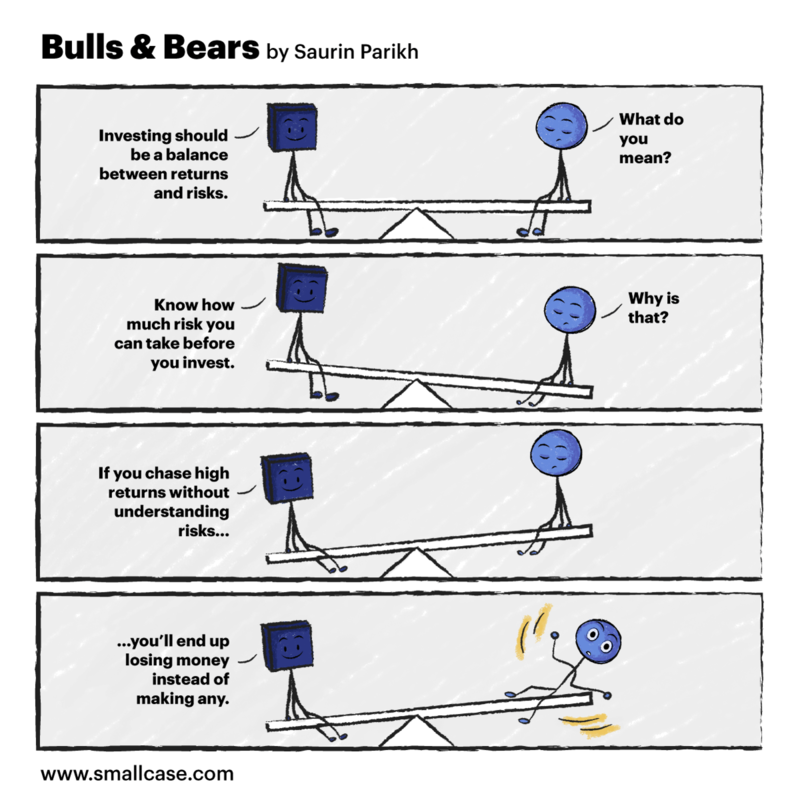 Bulls & Bears will try to help you look at investments in a newer way and make a better investor out of you. There’s box and there’s circle. Circle keeps running around in circles (duh!) and box acts like the voice of reason. All in good humour. The comics have been brought to you by smallcase. 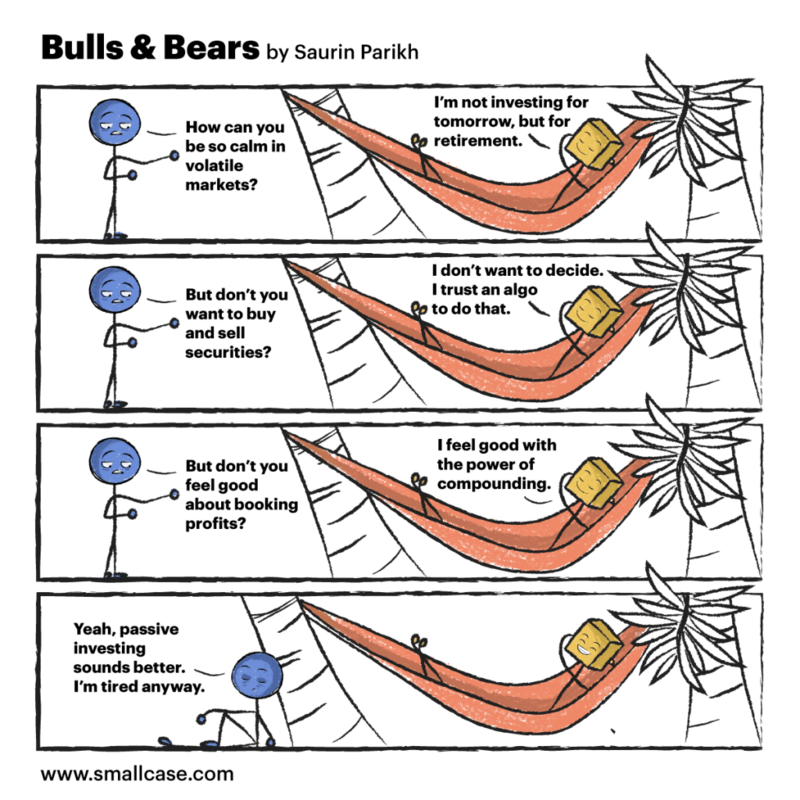 Comic 1: Patience is a virtue, but procrastination is not. Especially when it comes to investing. 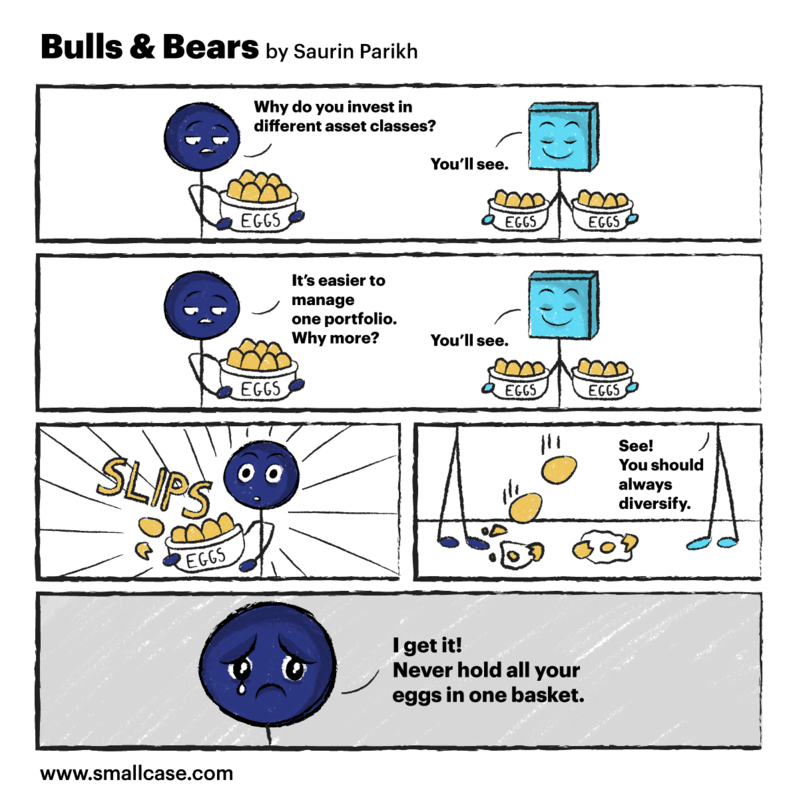 Comic 2: Don’t put all your eggs in one basket. Especially if you’re treading on slippery paths. Comic 3: Sit back and relax – the best way to reap the benefits of passive investing. 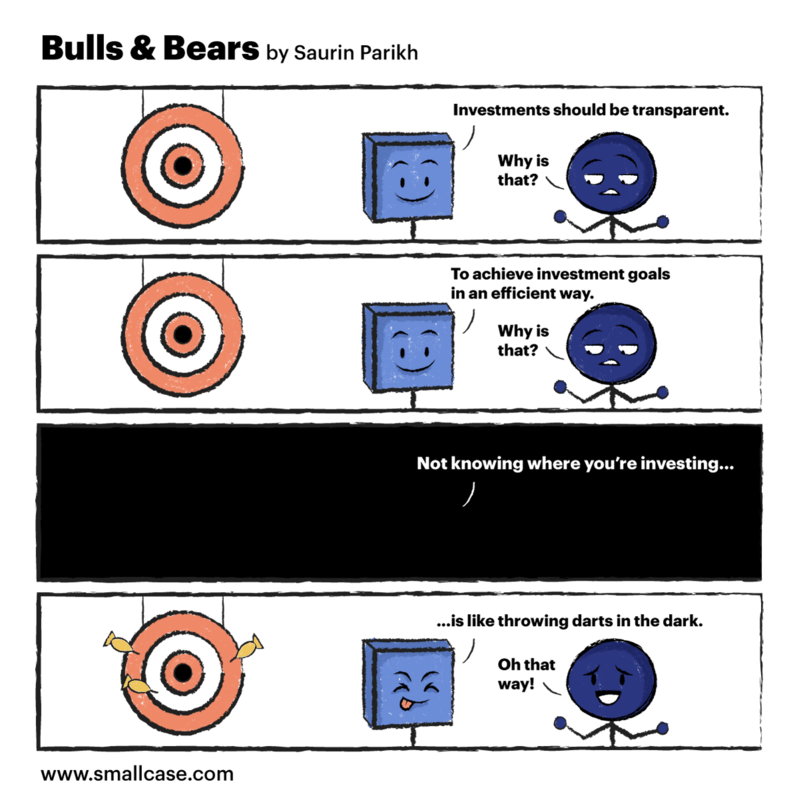 Comic 4: Investing in opaque instruments is like throwing darts in the dark. 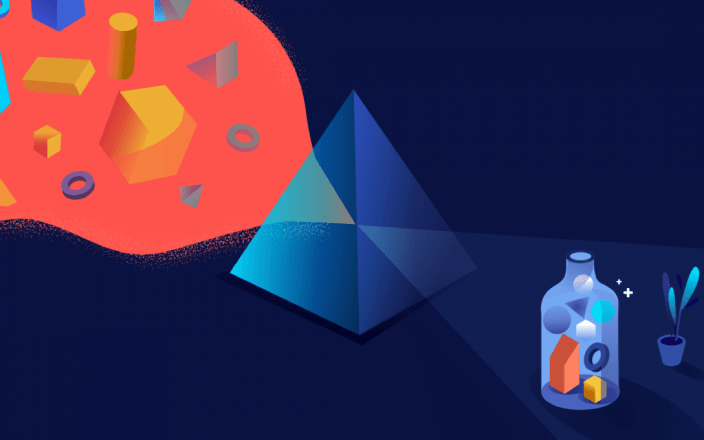 Invest in instruments that show you exactly where your money is going. Comic 6: Investing systematically can seem like climbing a mountain. But if you focus on your goals, you’ll not only reach the top but stay there as well. 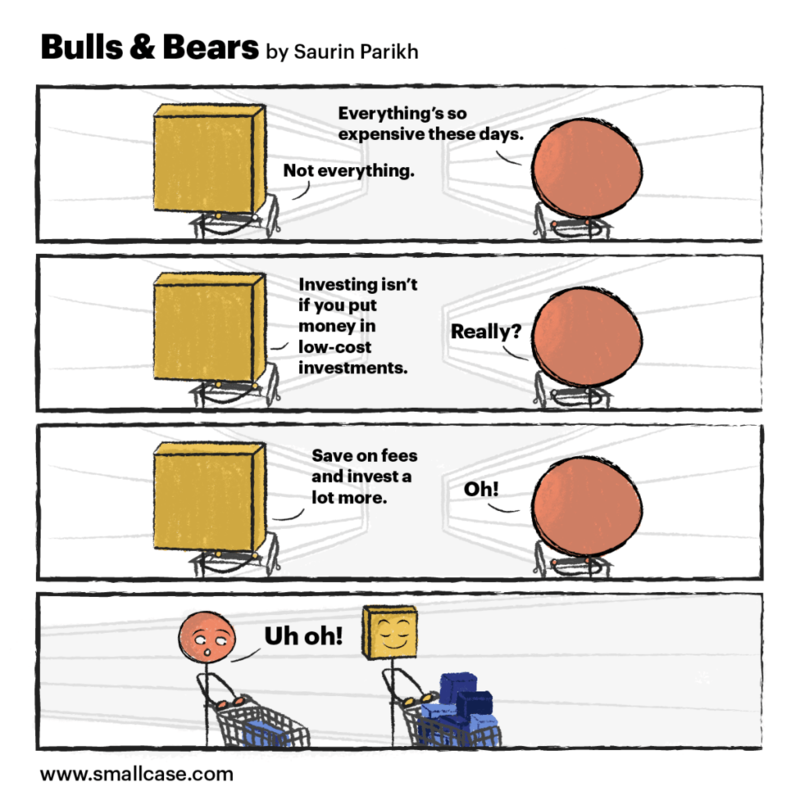 Comic 7: Investments shouldn’t be expensive. 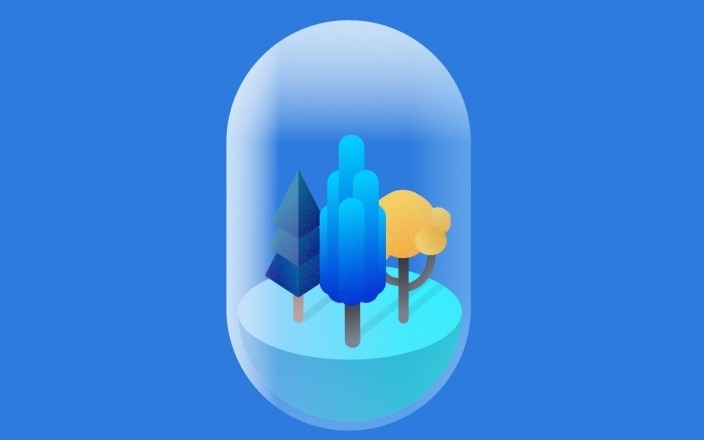 After all, the more you save in fees, the more you have to invest. 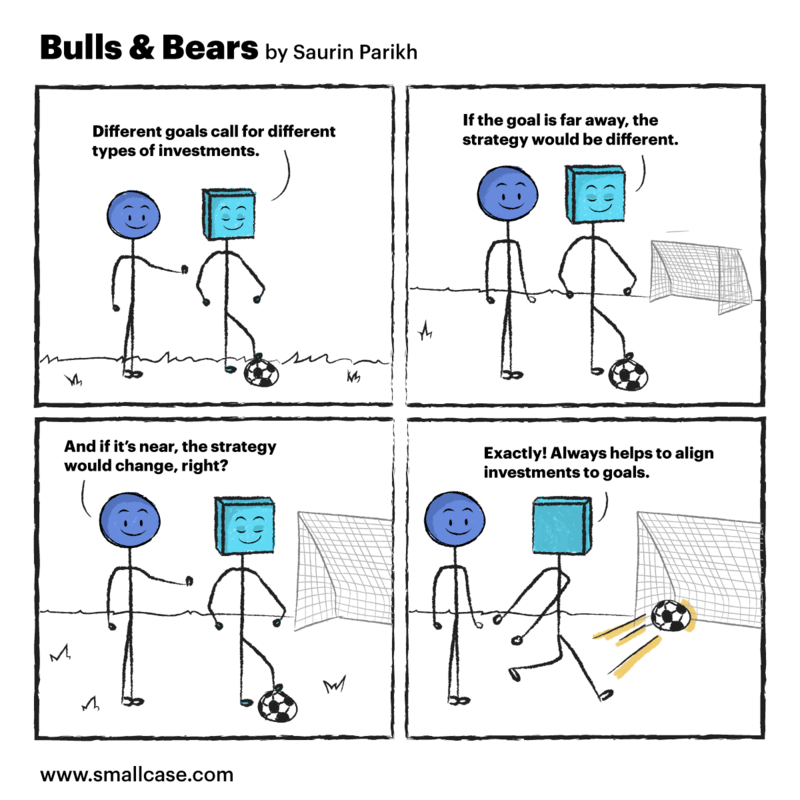 Comic 8: Investing for financial goals helps you stay motivated and analyse your investments more objectively. 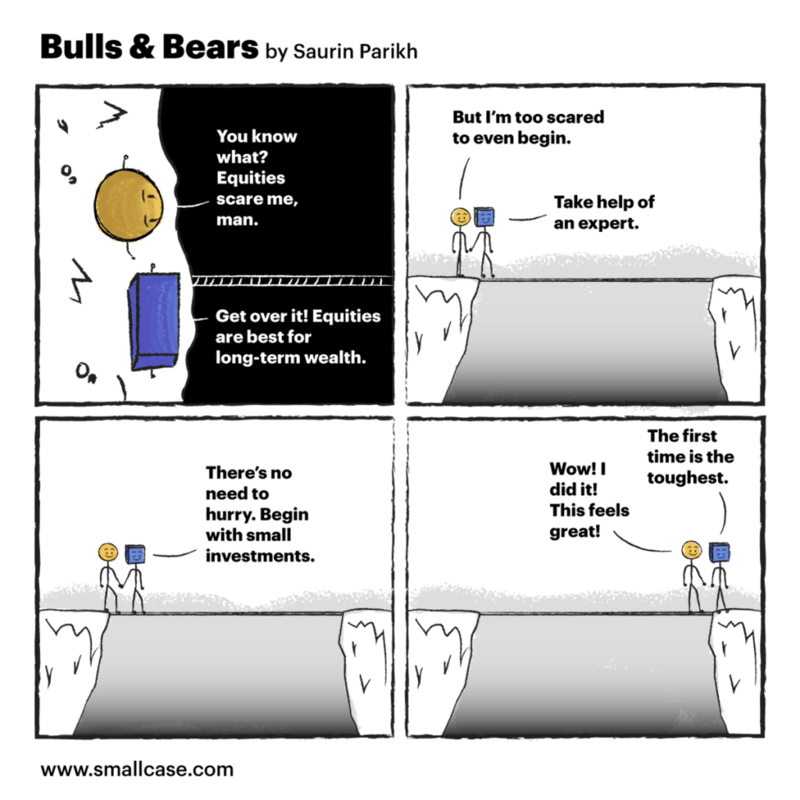 Comic 9: Much like in everything else in life, balance is important in investing as well. Comic 10: Like Lao Tzu said, the journey of a thousand miles begins with one step. Comic 11: Inflation is a hungry monster. 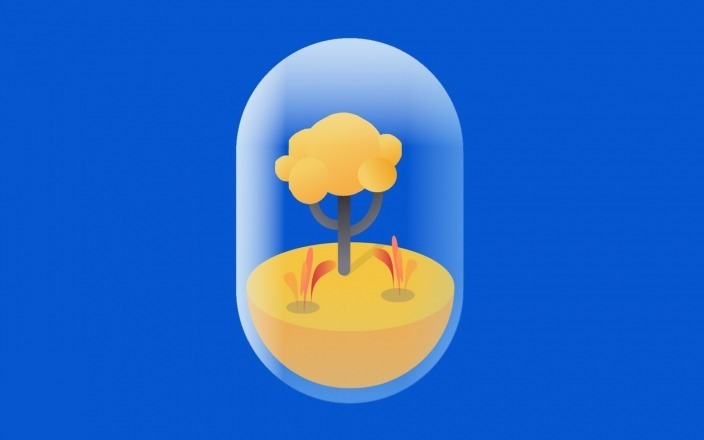 Invest your money to make sure it doesn’t eat into your savings.